The when: Make sure to get your entries in no later than midnight Eastern Standard Time, August 17th. The winner will be randomly drawn and announced in our August 21st post. The why: We have an exciting announcement: Bloom! is now on facebook! Okay, we've been on facebook for a little while, but have never managed to be as active on it as we've wanted. But all that is changing. Why are we now active and excited about facebook? Because we believe that it's another way to interact with you, and create conversation on a more daily basis. We'll be sharing encouraging (and some Facebook-exclusive!) content there - links to new articles, songs, and fun things we've found, as well as our own Bloom! content - and we'd love it if you would join us, jump into the discussion, and share your favorite things as well. Our dream for Bloom! as a whole is that it would be a safe space and community for young women to come together and talk about the things that really matter. Things going on in our lives, tough questions, things we're learning as we pursue Christ. We pray it would be a community that encourages, supports, and challenges you in your pursuit of Biblical womanhood. The webzine won't change at all, but social media is just one more platform for us to gather in this cozy online apartment. 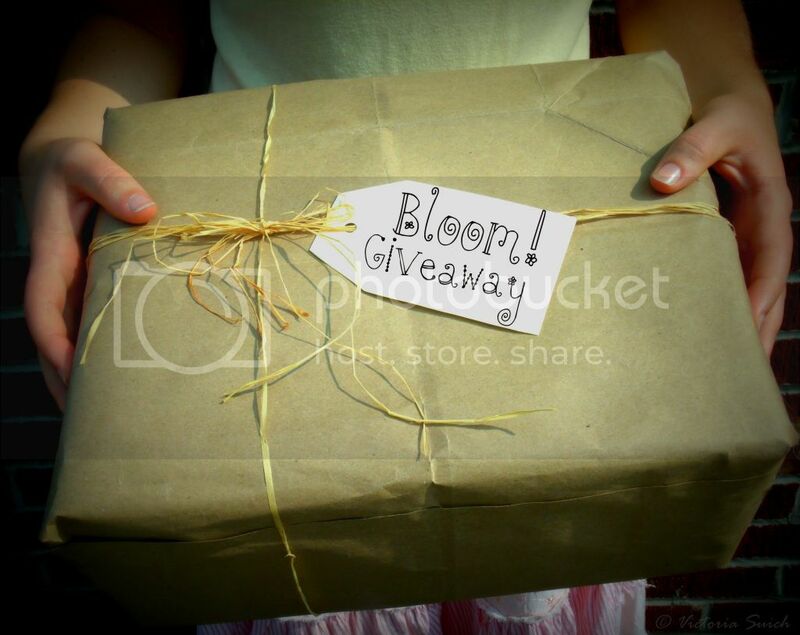 Don't miss the fun - enter our giveaway, "like" us, and come join us over on facebook! Hey girls! I'm in Australia - so this isn't technically an entry. But I'm really excited you are on Facebook now, and I'm looking forward to connecting with you on there! :D So, I liked you. And I'll never pass up an opportunity to share something God has been doing in my life... This week, I've been sick. But it has been productive and peaceful to rest and recuperate and puddle around the house getting things done - that I wouldn't normally do if I was well! It was a blessing in disguise and I am thankful for His wisdom and healing. I have liked you on Facebook and follow you on Blogger. This week God blessed me by reminding me of His great grace when reading Ephesians 2. Thanks for the opportunity of a giveaway! Yae I love giveaways. :) I have liked you on facebook and have subscribed to your webzine. And this week God has blessed me with reminding me that he has a plan for my life and that He will never leave me. Thanks so much for what you do. I liked the Facebook page, and I am also following you on Blogger. God blessed me this week by really allowing me to realize the amazing reality that we can call God our Father, Abba, Daddy..thank you! This past week, God showed me His love in new and amazing ways. He blessed me a TON through my friends and gave me little gifts of love- a Starbucks drink, not once, not twice but three times. (Understand, I typically don't drink Starbucks at all, let alone multiple times throughout the week ;) It was a small thing, but something that really touched my heart because of the thoughtfulness of the friends that brought it for me and the way that even a small thing like that, can often be a tangible whisper of His incredible love for me. I have been blessed this week by having the opportunity to lead a small group on the topic of purity!